Watch Video #1 Right Now...Click Here! This page contains some very important information about your request to receive your Free Training Videos, PDF Cheat Sheets, Worksheets, Checklists, Action Plans and Surprise Bonuses... so please read it very carefully. Before I can send you anything I need to make sure I have your permission. So please Check your inbox (or spam folders, junk folder, or Google "Promotions" tab) for the email we just sent you. The subject line is " Response Required: Please confirm your request for information. 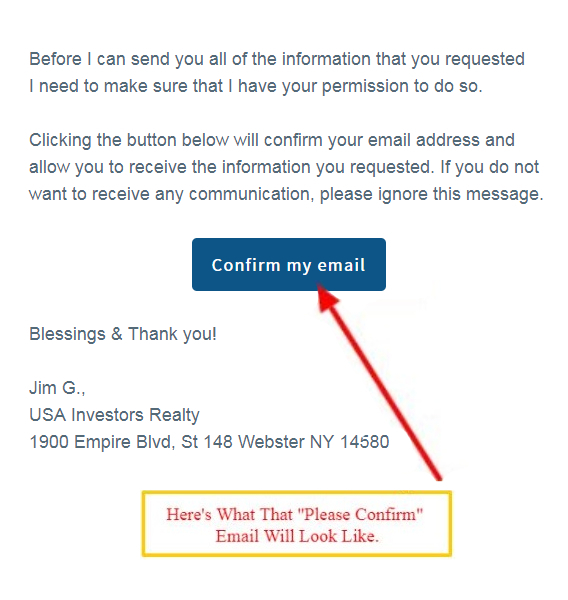 (very important) "
Inside that email you'll find a link that you need to click in order to give us permission to send you emails (including your free training material). You'll receive a second email from me with instructions on how to access your free training. I look forward to sharing some of Immediate Access On How To Profit Big From ON MARKET Properties... Absolutely Free! The fastest and easiest way to access your free training is to simply click the link that is inside the "please confirm" email that we just sent you. Please click the green button below to contact our Help Desk and we will be happy to assist you in accessing your free training. Simply check your inbox or spam folder for a new message from us that gives you a direct link to your training material and you should be all set... no need to confirm a second time. If you don't receive your email within 15 - 30 minutes, then please contact our Help Desk by clicking the green button below and they'll be happy to assist you. Please Help Me Access My Free Training Videos!